Muğla Sıtkı Koçman University was established in 1992 as a state university with four proposed faculties: the Faculty of Arts & Sciences and Humanities, the Faculty of Economics and Administrative Sciences, the Faculty of Technical Education and the Faculty of Fisheries. Mugla School of Management, founded in 1975, originally affiliated with the Ankara Academy of Economics and Administrative Sciences, was the first higher education institution in Muğla. It then became the first faculty of Muğla Sıtkı Koçman University upon its establishment. In addition, Muğla Vocational School, founded in 1989 as part of Izmir Dokuz Eylül University, joined Muğla University. 1993: Muğla Sıtkı Koçman University officially begins academic activities with two active faculties and one vocational school. 2004: The Faculty of Fine Arts, the Faculty of Fisheries, and Yatağan Vocational School open. 2010: The Faculty of Arts & Sciences and Humanities divides into two faculties: the Faculty of Science and the Faculty of Letters and Humanities. Since its establishment, Muğla Sıtkı Koçman University has been in pursuit of quality higher education and research in order to contribute to the sociocultural, scientific, and technological development of Turkey. Developing a systematic and comprehensive education programme for the thorough dissemination, discovery, and application of knowledge requires a competent infrastructure. As such, Muğla Sıtkı Koçman University embarked on a fast advancement and investment project in 1994. The benefactor of the university, Sıtkı Koçman, whose financial contributions to education deserve great admiration, has also supported this push for growth. 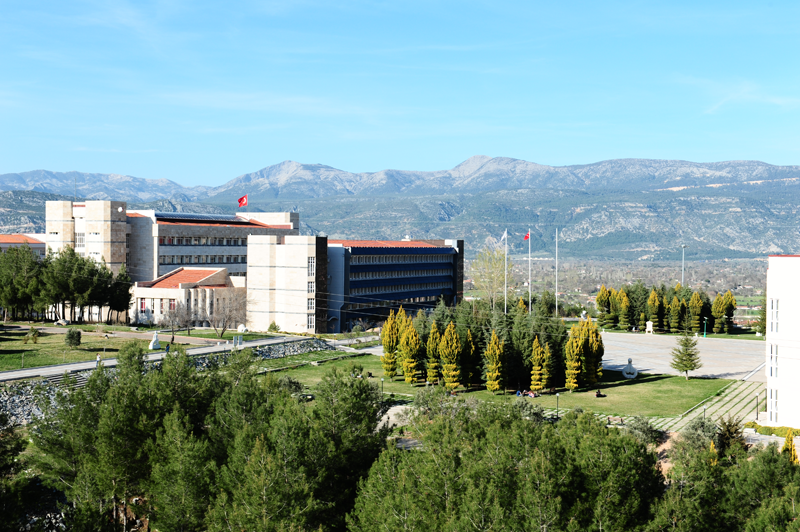 Today, Muğla Sıtkı Koçman University encompasses a two million square metre campus surrounded by a spectacular mountain view and smaller university sites and schools across the province. Currently, the university services over 32,000 students and employs over 1,300 full time academic staff.